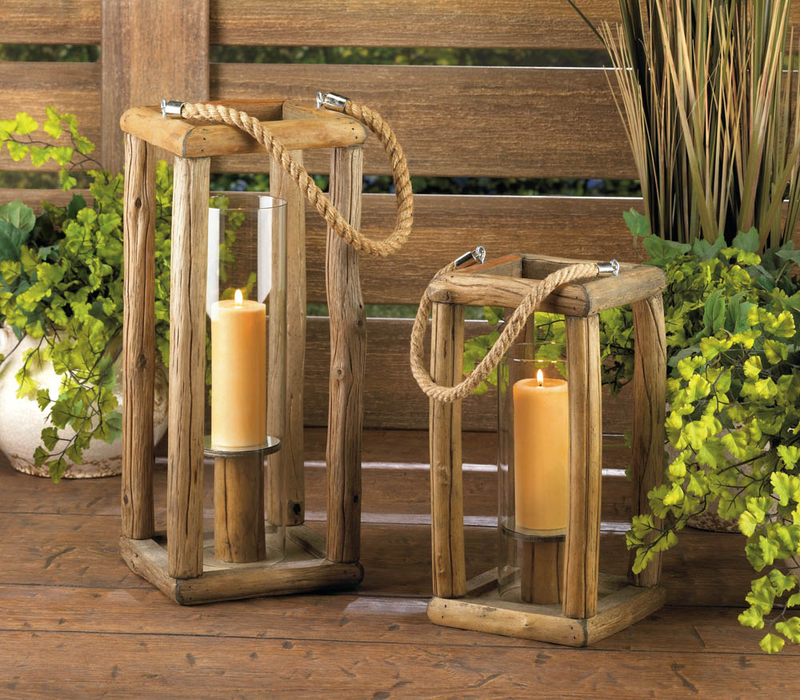 A tall dose of pastoral style will light up your living space when you place a candle in this unique lantern. 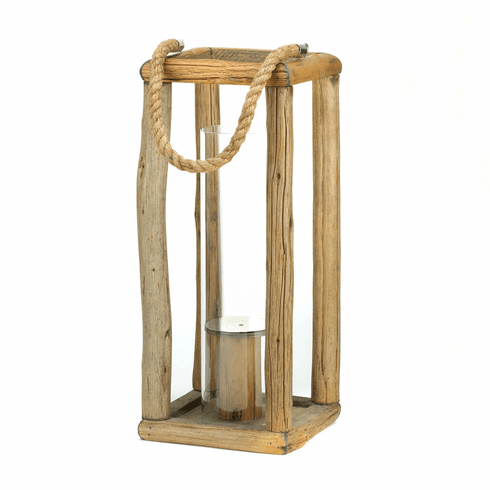 The natural wooden frame shows its true beauty, while the tall and simple hurricane glass inside keeps the flame burning bright. A neat candle platform and thick rope handle complete its unassuming style. Item weight: 4 lbs. 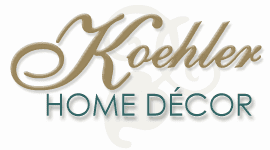 7¼" x 7¼" x 17" high; 27½" high with handle; glass cylinder: 3½" diameter x 13" high. Wood and glass. Candle not included. UPC: 849179020279.